The Democrats, who form the new majority in the US House of Representatives, want to investigate whether President Trump abused his power “to punish the press” in his attacks on news channel CNN and the Washington Post newspaper. Democrat Adam Schiff, incoming chairman of the House Intelligence Committee wants to see whether President Trump wanted to punish both media outlets via "instruments of state power." With their newfound majority in the House, the Democrats are given options that they did not have before. They will be able to start investigations and request White House documents and e-mails. "It is our responsibility to investigate this already," Mr Schiff said. 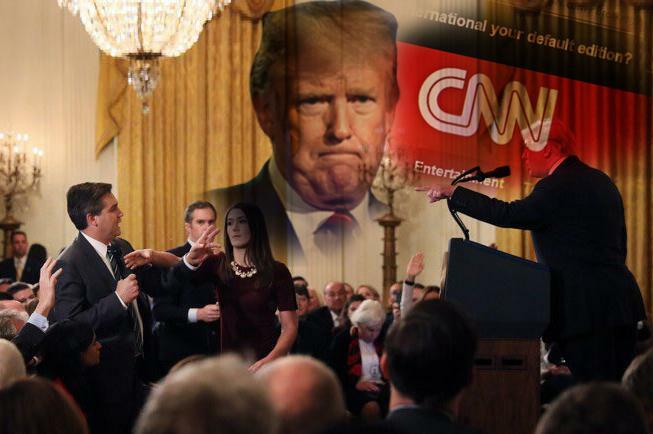 The US President has also called CNN and The Washington Post “fake news” dozens of times and even suggested that they are "enemies of the people." The other investigation would be about whether President Trump tried to stop the planned merger between AT&T and Time Warner (owner of CNN). The US President has furthermore repeatedly stated that the annual loss the US Postal Service makes is partly due to Amazon. He therefore suggested to raise postal rates for the tech behemoth owner by Jeff Bezos and even threatened to launch an antitrust investigation. Mr Bezos is the founder and CEO of Amazon and also owner of the newspaper which is highly critical of Mr Trump. Liberal Media & Whiners wanting more Click Bait and attention, seek to move on from now proven FAKE Trump - Russia issue and start another Fake baseless whine. With each attack on the Bill Of Right by the Left, I predict Ammoseek*com sure is busy as many stock up . Acosta outed himself as a woman abusing creep then they claim that the video evidence was "doctored". the fake news IS the enemy of the people. Schiff is an assclown! What a huge waste of tax $$ just because our pres calls the Dems propaganda arm as we all see it.